SunSand is a unique combination of any of the Sundek system finishes, but offers something unique and different. The difference in the SunSand system is the addition of glass bead, aluminum oxide or another component like silica sand that adds a texture to your decorative concrete coating. These fine additive particles are broadcast on to the system’s surface providing a slip-resistant, gritty and safe coating. Features and benefits: SunSand protects and seals the concrete surface while providing superior protection against rain, weather, salt and environmental pollutants. 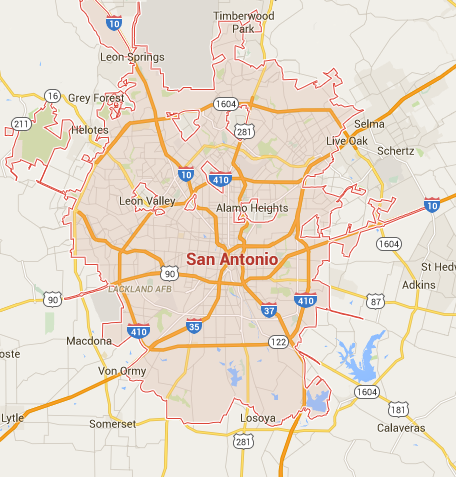 The results are an economic and easy to maintain solution for your interior or exterior project. 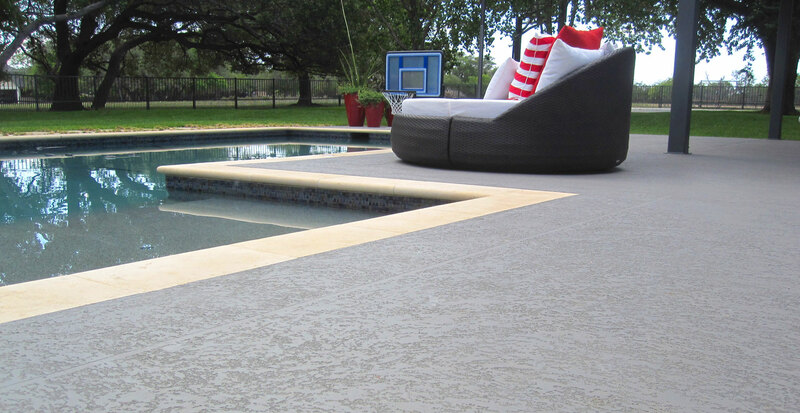 SunSand is the concrete surfacing solution where form meets function. Glass beads are added as a combination to any one of the SUNDEK finishes. 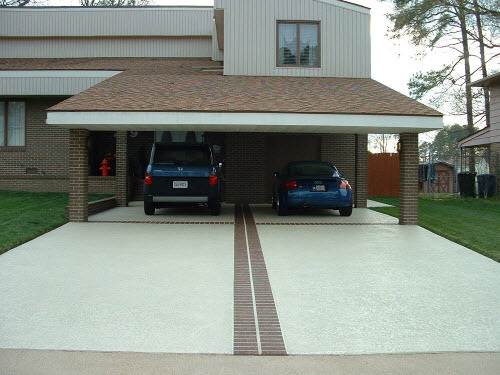 Once the glass beads are broadcast on to the surface, they become one with the coating and provide a slip resistant environment. The environmental, weather and salt protection are a big benefit to the SunSand system. 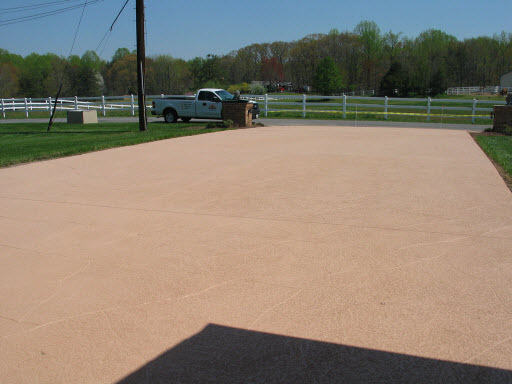 How it’s done: SunSand is simply the Sundek SunColor water-based acrylic finish coat system with glass beads, aluminum oxide or another fine aggregate added into the mix to provide slip resistance. 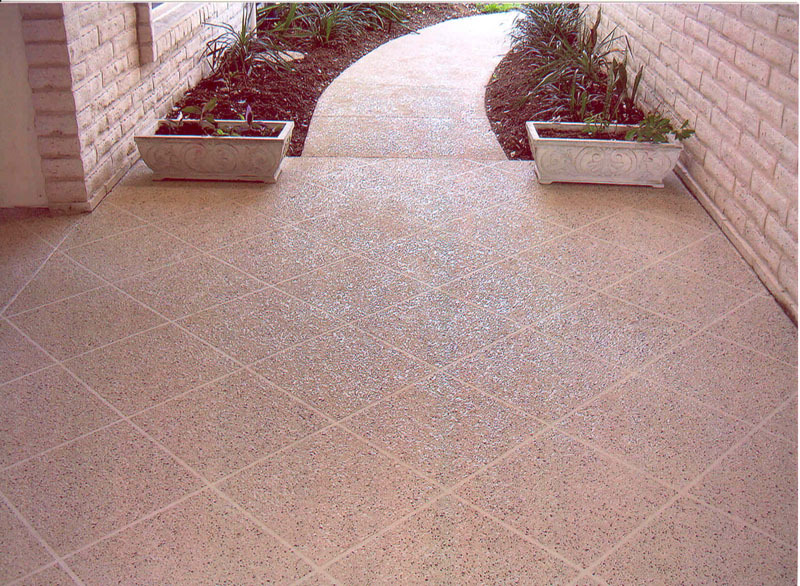 SuSand is typically rolled or sprayed over existing concrete, decorative overlays or vertical surfaces as well.